I've always heard they should not play college football games on Friday night because it hurts high school football attendance. And I've always thought this premise is ridiculous. For one thing, it's not going to keep the crowds down at high school games. They are going to be big at certain high schools and lower at others, anyway. Most of the high school attendance, at least in this state, is based on direct interest in the participants - students, parents, family. It's not like attendance would be hurt because the Rutgers-Michigan game is on that night. 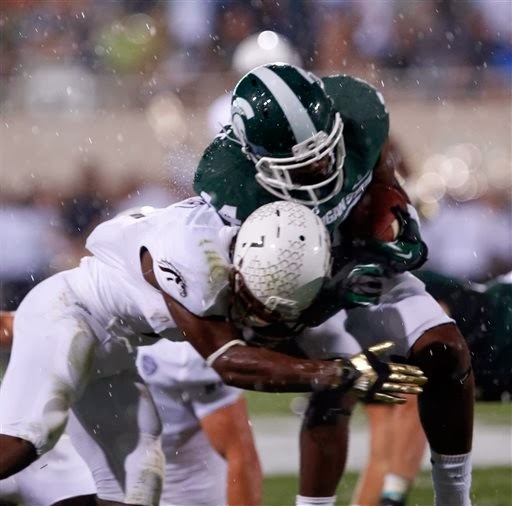 Michigan State has played on off nights, and its gone well in the non-conference portion of the schedule (vs. Western Michigan this year). One game a week: It could actually become a special feature for the conference. And it would unclog the schedule on Saturday's now that there are 14 teams with Maryland and Rutgers joining the Big Ten next season. Gary Harris or Nik Stauskas - Who is this state's best college basketball player? It wouldn't have been much of a debate coming into the season. Michigan State's Gary Harris was, by far, a better and by more complete player than Michigan's Nik Stauskas when both were freshmen last season. Although Stauskas did play a solid role in Michigan's run to the NCAA title game as a freshman, he was third on the list of Wolverines' freshmen, behind Mitch McGary and Glenn Robinson III. Harris starred at MSU from Day One, and has still been a force this year. But it does seem look like Stauskas has passed him. With McGary out for the season, Robinson not making a significant improvement and Trey Burke and Tim Hardaway Jr. in the NBA, Stauskas has emerged as the leading candidate for Big Ten Player of the Year. Statistically, they are about even. And it wasn't like Harris didn't have productive games against Michigan. He did. But it was Stauskas who did a better job of imposing his will in those victories for the Wolverines, who sit alone atop the Big Ten standings. I still think Harris is the better NBA prospect, but Stauskas is a unique talent because he is an exceptional shooter and athletic. There are others who can enter into this debate. Michigan State's Adreian Payne looked a national player of the year candidate before he hurt his foot. This week off for Payne and the banged up Spartans is much needed. Expect Payne to rebound. You can't dismiss Caris Levert's emergence at Michigan or what Travis Bader has done at Oakland under difficult circumstances. But currently, Stauskas is the best college player in this state, something that would have been a longshot when the season began. 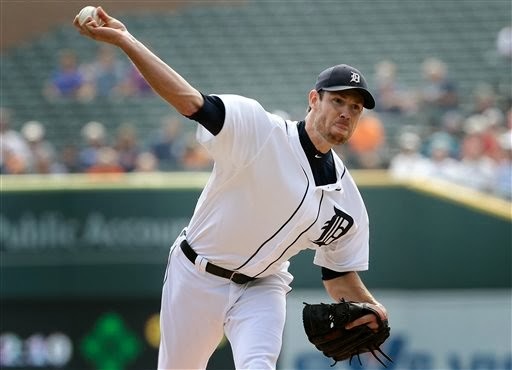 Was the Tigers trade of Doug Fister really MLB's worst off season transaction? In traditional scouting terms, Fister has always been questioned because he doesn't throw hard. But he developed a swing-back action to his fastball, an outstanding curveball and at 6-8 there is a lot of tilt on a fastball that is far below the MLB average in velocity (in the bottom 15 percent in velocity) but not necessarily in effectiveness. He is 30 . There are many scouts and statistical analysts who view 30 as the age when the downward track begins (I tend to believe it is a little later). Fister's stats have trended downward since 2011 in ERA (2.83, 3.45, 3.67) and WHIP (1.063, 1.194, 1.308). But he did eat up 208 innings last season and his fielding independent pitching stats were better in '13 than '12. I went back and watched a lot of Ian Krol from last season. He should help the Tigers in the bullpen and free Drew Smyly for the starting rotation. I don't see what the Tigers see in Steve Lombardozzi. At best, he is minimal upgrade from Ramon Santiago. Tigers GM Dave Dombrowski told me Robbie Ray intrigued the organization so much because of what he was told by his staff at Double-A Erie. The Tigers started intensely tracking Ray closely after he shutout Erie with three hits and just two walks while striking out seven, the first game back from the Double-A All-Star break. He was consistently in the mid-90s on the radar gun. Clearly, he was the key piece in the deal, and the reasons are two fold. One, if Ray is really that good, he could help at the MLB level as soon as this season, especially if there is an injury issue. 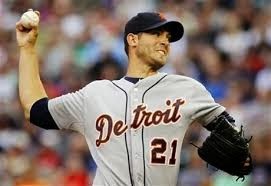 Secondly, he gives the Tigers another chip to offer in a trade if they have a glaring need to address during the season. I understand the idea of moving players on as they reach a point of their career where production is projected to go down and salary up. But Fister wasn't that expensive yet, just not super inexpensive anymore. Two-hundred solid starting innings don't grow on trees, and I'm not sure about what the Tigers got in return. The road is littered with a lot of editions of Robbie Ray, who didn't make it. The worst deal of the off season? I don't know if I'd go that far. But it was a risk, and I'm not sure if it was necessary. It's almost like the USA victory over Russia in the preliminary round didn't happen. 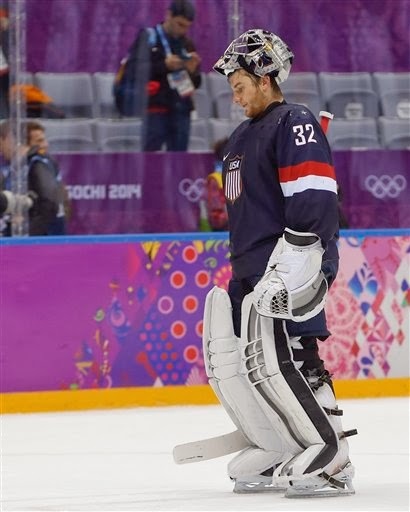 I think that is the lesson USA Hockey should take from what was ultimately a disappointing showing in the Olympics. The Americans have become a better collection of players, but they didn't pull together as a team. Canada did prove to be the better team in the semifinal game. Their defense was not only big and physical, but mobile and simply controlled the game, and, really, the tournament. There wasn't a weakness in goal. Carey Price played well. But there was also an unrelenting focus and purpose Canada displayed at the points that matter. They had more will, not just skill along the blue line. That also proved true in the bronze medal game. Finland has fierce hockey players. Can the same be said about the Americans? There will be those who will pass this off as "hockey doesn't really matter in this country." Well, it mattered in 1960 and, particularly, 1980. And in the Canada Cup in 1996. There were 27.5 million Americans who tuned into the gold medal loss to Canada in 2010. That loss wasn't nearly as disappointing, though, because you knew that version of the American squad left all it had on the ice. This time, it didn't seem like it, did it? There isn't necessarily shame in losing, but there is in being outworked. To me, that's what made this tournament so disappointing for the Americans. 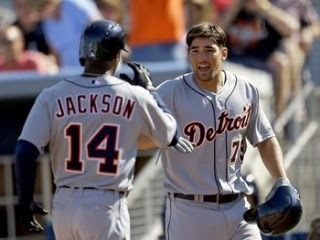 The Tigers have won the AL Central each of the last three years. They have been to the postseason four times in eight years and reached the World Series twice. However, pretty much that entire span, they have had a glaring weakness. It has been defensively, particularly on the infield. I see the Tigers much improved in that area this season. Jose Iglesias is a tremendous fielder and a dramatic improvement at shortstop over the range-challenged Jhonny Peralta. Ian Kinsler had much better defensive metrics at second base than Omar Infante in '13. Miguel Cabrera wasn't a total disaster at third base, but he wasn't very good, either. Actually, he ranked near the very bottom in the AL in range. But Cabrera is a much better first baseman defensively than Prince Fielder, who, at times, was utterly dreadful with the glove. I like the power arms up and down the Tigers' pitching staff, and definitely what they bring to the table with their starting rotation. Better defense should equal better pitching, even if the Tigers sacrificed power in the process of improving their glove work. When I look at the Big Ten, I see one legitimate NCAA championship contender. It is Michigan State. 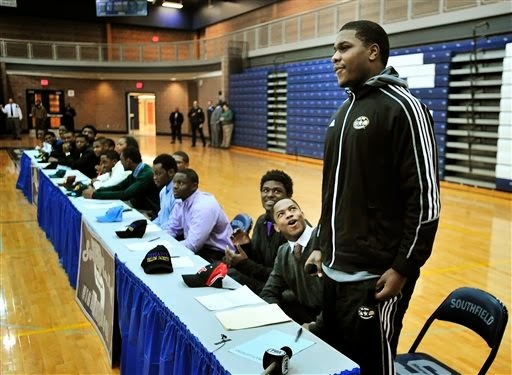 The Spartans not only have athleticism, but depth and experience. 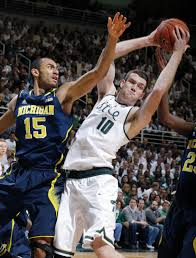 I am not sure if Gary Harris and Adreian Payne aren't the two best players in the Big Ten. The Spartans have had to fight through an uncommon rash of injuries this season, and just lost at home to the Big Ten's version of college basketball plankton Sunday, Nebraska. But ultimately, it likely will make the Spartans a better team. Tom Izzo has this tendency to turn such adversity into teaching moments because he commands the attention of his team even more at time of crisis. Michigan got a lot respect going to Madison and knocking off the Badgers when they were ranked No.3. Wisconsin returned the favor Saturday, but it wasn't a shock. 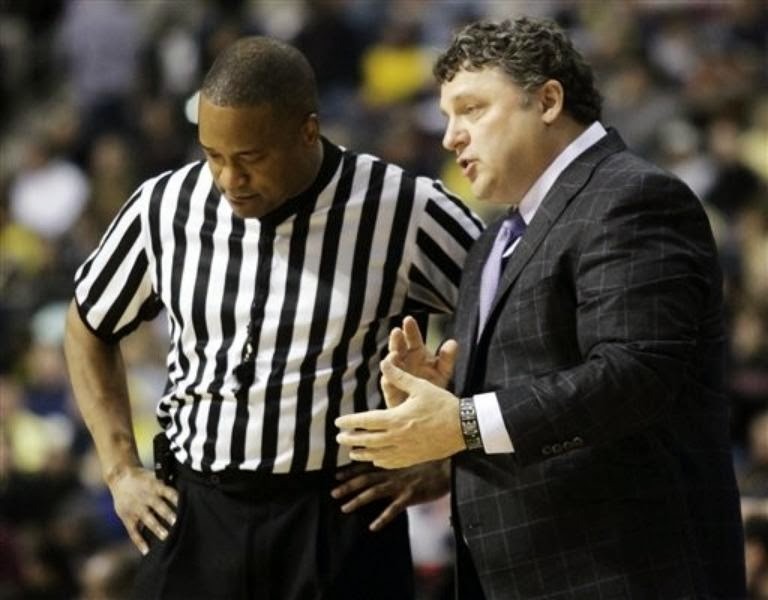 The Wolverines are more flawed than the Spartans. They either hit their outside shots or they are in trouble. The downside of getting the big-time respect Nik Stauskas did after the Wolverines defeated three Top 10 teams, two on the road, in a span of a week, is the extra attention it gets from opposing defenses. Stauskas hasn't handled that extra defensive attention too well, and the Wolverines are very dependent on his scoring. But it doesn't mean Stauskas won't come out of his funk. He is capable, and Wolverines' coach John Beilein has displayed continually he has the ability to get the most from his teams, flaws and all. 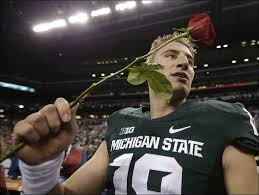 This past weekend's losses are not going to diminish the MSU at Michigan game this Sunday, by any means. It's not like both teams are at the bottom of the Big Ten standings. Rather, they are at the top. I don't know if it would be accurate to suggest the United States has been categorized as a longshot in Olympic hockey, but they aren't exactly a favorite. Most forecasters have the USA as a borderline medal contender, with most not having the American on the podium when the dust clears in Sochi. I think there is an underestimation of the USA. based on star power at forward, but in truth, the Americans have plenty of firepower. 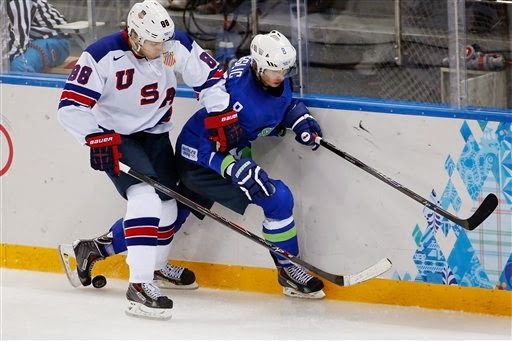 You saw that during the USA's 7-1 rout of Slovakia to open the tournament Thursday. The Americans are bigger and faster than they have ever been throughout their roster. They also have the makings of an excellent top line with Phil Kessel, Joe Pavelski and James van Riemsdyk. Kessel is second in the NHL in goals with 31, Pavelski fourth with 29 and van Riemsdyk in the Top 20 with 24. Slovakia was a good first test for the Americans. They aren't a favorite, but have are more used to the bigger Olympic ice surface. It wasn't an issue at all for the Americans. Tomas Tatar and Tomas Jurco were the best players on the ice for Slovokia, which could bode well for the Red Wings immediate future. 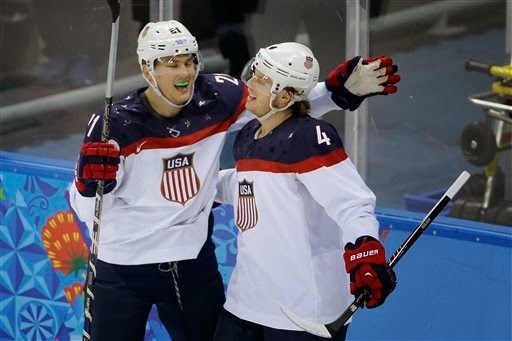 The USA is a younger team than it has been during the NHL era of Olympic hockey, but much more athletic. If its opening game is an indication, the Americans could not only medal, but win the entire tournament. Normally, when an NFL team hires a QB coach, it is down the pecking order of importance among staff hires. The coordinator positions get the bulk of attention - as they should. The answer: Jim Bob Cooter. Upon deeper examination...Oh boy. Joe Lombardi was hired as offensive coordinator from the New Orleans. OK. He worked with Drew Brees at New Orleans as QB coach, and was on the right upward ascent for the O-coordinator spot after working for Sean Peyton and Pete Carmichael with the Saints. Cooter did work on a good Denver staff and with head coach Jim Caldwell at Indianapolis, but it wasn't like Peyton Manning wasn't developed. The thought you move people up after they do good work is a noble and right and just concept, except the Cotter has two well-documented arrests, one for a DUI while he Tennessee's backup QB in 2006, and for allegedly crawling through a window of women's apartment and lying in her bed a couple years later. Given the embarrassment the Lions suffered not long ago when Rod Marinelli's defensive line coach Joe Cullen reportedly drove through the drive-in window line at Wendy's without any clothes, and the alarming number of off-the-field conduct incidents the Lions endured between the promising 2011 season and the start of the disastrous 2012 season, it's impossible not to wonder why Jim Bob Cooter is a necessary element for Caldwell's coaching staff. A preferred option, I would think, would be somebody who actually played QB extensively in the NFL and would therefore be able to relate in a reasonable way some of the issues Stafford is going through. I know in baseball, major league experience is considered a major plus for pitching coaches. It's considered a no-no to hire a major league pitching coach from another organization if he hasn't pitched in the major leagues, and doesn't have previous MLB experience as a pitching coach. This proved to be a major factor, it seemed, when Rick Knapp was the Tigers' pitching coach and did not succeed. The pitchers aren't nearly as respectful and willing to listen to somebody who hasn't been in their shoes before. It considered OK if the pitching coach has been with the organization and worked his way up with the same pitchers, earning their respect along the way, or been successful in another organization at the MLB level as a coach. You'd think the same principal would be in effect with a QB coach, especially if neither the offensive coordinator nor head coach played QB in the league, which is the case with Lombardi and Caldwell. It just doesn't look good. Justin Gilbert: Ideal Lions' first-round pick? I thought initially the Lions needed a wide receiver first in this draft to present another viable target for QB Matthew Stafford other than Calvin Johnson, but two things have changed my view. One is how the landscape of the NFL is changing. Like every other sport, it goes in cycles, and has clearly changed. Quarterback is still important, and so is the passing game, it always will be in the NFL. For awhile, though, it was the only thing. Now defenses are catching up, with one moving by these prolific passing attacks, the Seattle Seahawks, who resoundingly won the Super Bowl. Also, the one wide receiver available worthy of the 10th overall pick, Sanmy Watkins from Clemson, is not going to be there. Mike Evans from Texas A&M and Marques Lee from USC would seem to be a stretch at 10th overall. 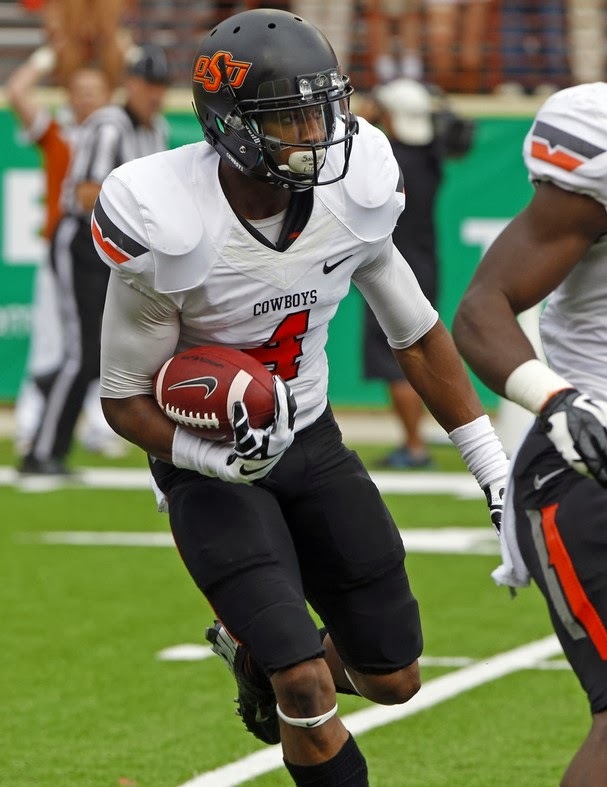 At this point, before the testing begins I'd look at Justin Gilbert, the cornerback from Oklahoma State, as the Lions' ideal first-round draft choice. He is a playmaker, who is also an exceptional returnman. 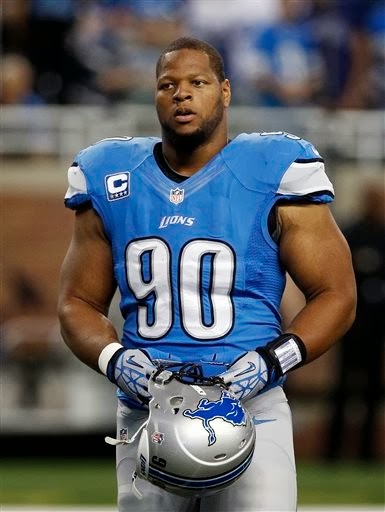 Ideally, the Lions need a taller corner, but it's like the 6-0, 200-pound Gilbert is small. In the second round, Texas Tech tight end Jace Amaro would be a perfect fit. As for wide receiver, it's a position of depth and can be addressed later in the draft. Josh Huff from Oregon might be a possibility in the later rounds. While the Red Wings' 6-5 overtime loss to the Washington Capitals Sunday wasn't a study in defensive responsibility, it was nonetheless entertaining. It was also a game indicative of what is going well for the Red Wings. They have a couple exciting young players, who have a knack for scoring goals. Gustav Nyquist (24) has eight goals in his last seven games. 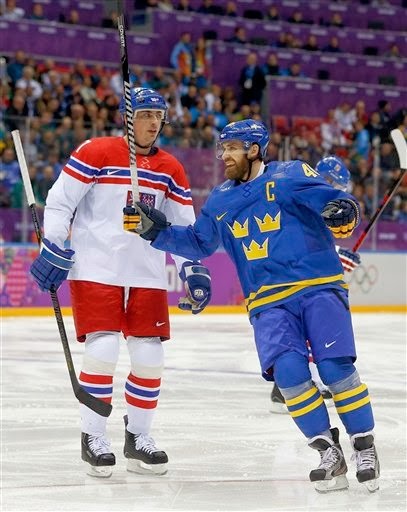 Benefitting greatly by playing with Henrik Zetterberg, he had a hat trick Sunday. Tomas Tatar (23) had a goal and an assist Sunday. They each of 13 goals this season, Nyquist in just 30 games, Tatar 46. Why they weren't mainstays from the very beginning of this season is puzzling given their obvious skill and extensive minor league experience - and the fact Nyquist played very well during the Red Wings' playoff run last spring. Both are plus on the plus-minus ratio, too. If the Red Wings miss out on a playoff berth by a point or two, the decision not to bring up Nyquist sooner will come back to haunt Red Wings' general manager Ken Holland. Justin Abdelkader (26) had the other Detroit goal Sunday. The Red Wings great strength as an organization has been to continually develop young players despite not having prime position in the NHL Draft because of their success.There is some downside to youth (24-year-old defenseman Brendan Smith's nonsensical penalty led to Alexander Ovechkin's overtime goal Sunday), but the good far outweighs the bad. If the playoffs started today, the Red Wings would be in, albeit barely. There are still three games remaining before the Olympic break, vs. Vancouver tonight and at their (for reasons impossible to explain) nightmare, the Florida Panthers, and at Tampa Bay. But it looks like the Red Wings are surviving what is arguably the most difficult portion of their schedule. They need Pavel Datsyuk back, without question, and Zetterberg to remain healthy more consistently, but they have been living off their kids, and it's going pretty well so far. - Peyton Manning was throwing wounded ducks and had that deer-in-the-headlights look before warming up a bit on Denver's final drive of the half. Seattle can't sit on the ball too much in the second half. Manning is dangerous and will make them pay for a lack of aggressiveness offensively. Getting Marshawn Lynch loose in the second half will be the key for Seattle. - The Broncos got jobbed. On their last drive, itwas clearly pass interference by Seattle safety Earl Thomas on Denver tight end Julius Thomas. The officials throw the flag there, as they should have, the course of this game is completely different. 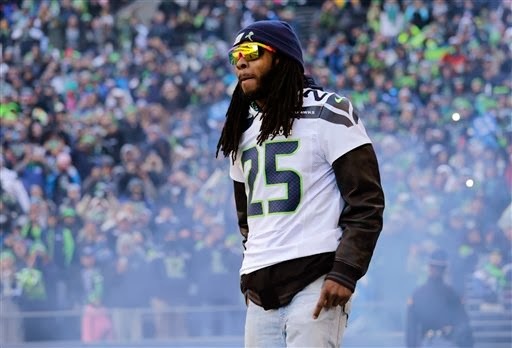 - One of the worst parts about Richard Sherman's antics following the NFC Championship Game is they took away from linebacker Malcolm Smith's key interception. He was in the right place at the right time and caught the ball. He was a huge part of that play, arguably the key part. Well, Smith, a seventh-round draft pick from USC, made another big play tonight. A Pick 6. Good for him. - What makes the Seahawks defense so good is it doesn't have to gamble by blitzing. They keep four back, seven upfront. Yet, they are still able to cram the line of scrimmage, stop the run and keep pressure on the QB. Former Lion Cliff Avril is a big part of it. He is having a terrific game so far. It couldn't happen to a nicer guy. It's certainly going better for him than his former Lions teammate Manny Ramirez, who air-mailed the snap by Manning's earhole in the first quarter. - This game is far from over and many Super Bowls have turned on the team that started out quickly, but the Seahawks look so much better than the Broncos, who are very fortunate they are only down by eight. - Peyton Manning does have his Super Bowl win, but mostly he hasn't won his biggest games, dating back to his days at Tennessee vs. Florida. So when a game starts like this one for him, even if that errant snap for the Seattle safety wasn't his fault, it's difficult not to wonder if here we go again. - There was a time there was no way a receiver like Doug Baldwin would beat Champ Bailey in one-on-one coverage. Bailey, who belongs in the Pro Football Hall of Fame someday, isn't quite what he used to be. The Seahawks took advantage of it on that big play. 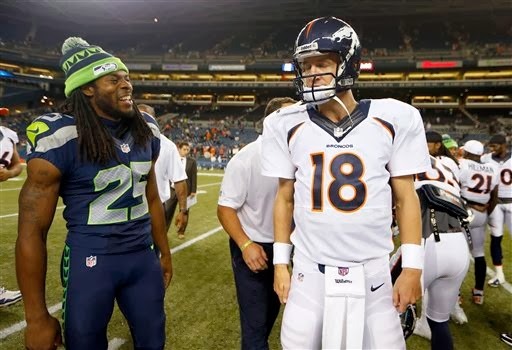 - So far, the Broncos receivers have gotten remarkably little separation from the Seahawks. Again,. not a good sign for Denver. Manning, at least so far, looks like he's been throttled like the Patriots used to when he played for the Colts.